The central bank of China is hoping to tighten its regulatory grip on certain aspects of its 'murky' financial system. Most recently, the central bank has mandated that commercial banks must count high-yielding wealth-management products as part of their overall credit. In the past year, China’s easy-money policy has sent capital bouncing from stocks, bonds and commodities to real estate in search of returns. Wealth-management products have appealed to many Chinese savers amid a dearth of investment options. Much of the funds have been channeled into bonds, which has kept money flowing to sectors already plagued with overcapacity—like steel and property—at the expense of sectors in dire need of capital. Officials and analysts say the central bank hopes the rule, expected to be phased in gradually, will act as a deterrent against these products. 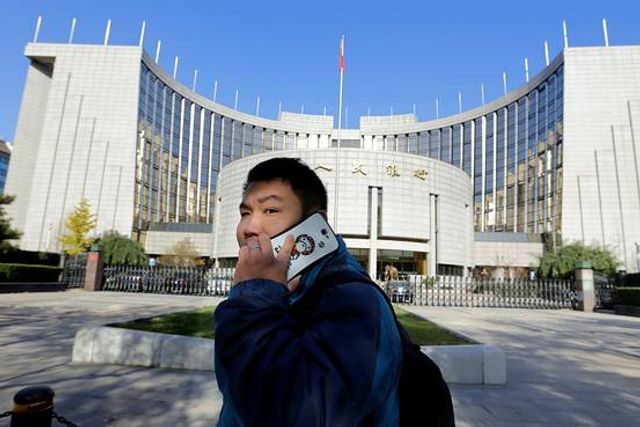 “The central bank is taking the step with a goal to reduce leverage in the economy,” said Peng Yuanyuan, a research analyst at Pengyuan Credit Rating Co., a Chinese ratings agency. Press officials at the central bank didn’t respond to a request for comment.